A UNIQUE DESIGN, WITH UNADULTERATED MATERIAL COMBINED WITH TRADITIONAL ACCENTS, ENSURES THAT THIS APARTMENT EMBODIES AN INDIVIDUAL, PERSONAL STYLE OF LIVING. 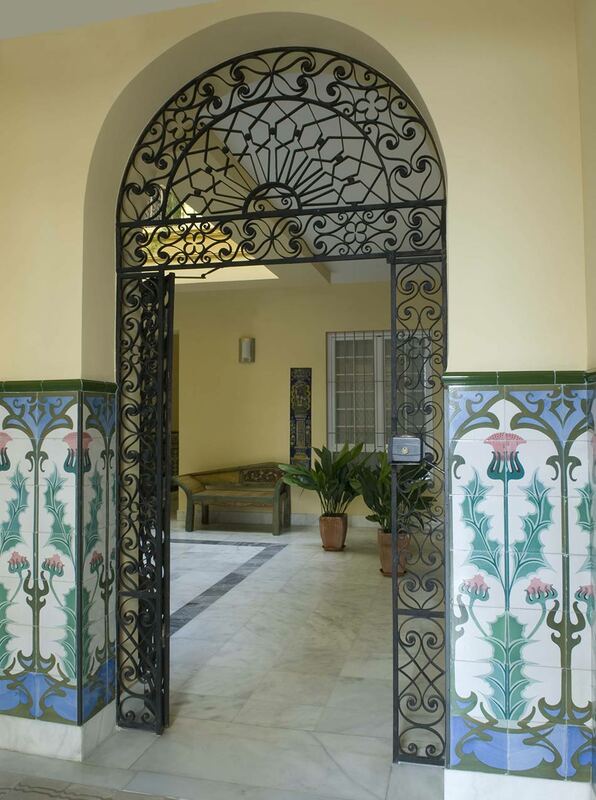 WHEN THE BUILDING WAS CONVERTED, THE OLD TILES WERE CAREFULLY REMOVED, CLEANED AND RE-LAID IN THE OWNER’S HOUSE. 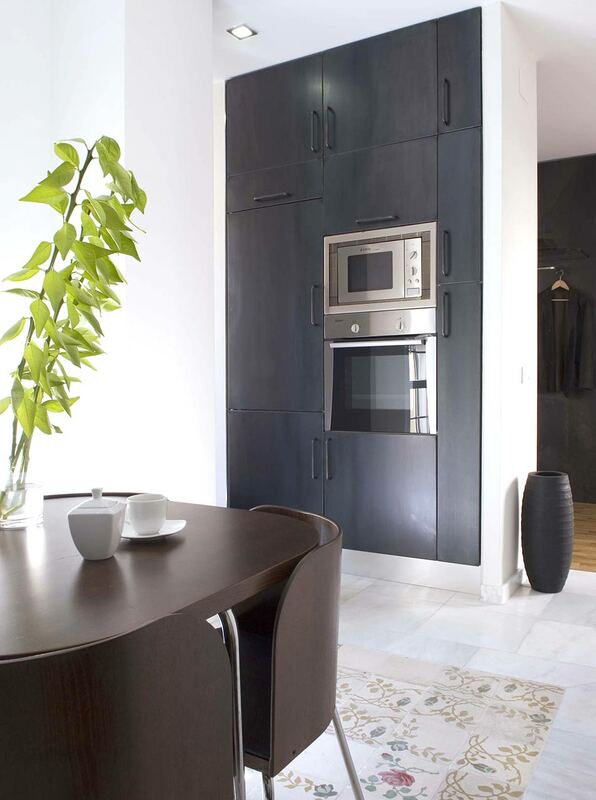 UPON ENTERING THIS SEVILLE APARTMENT, VISITORS FIND THEMSELVES IN THE CLOAKROOM AREA. 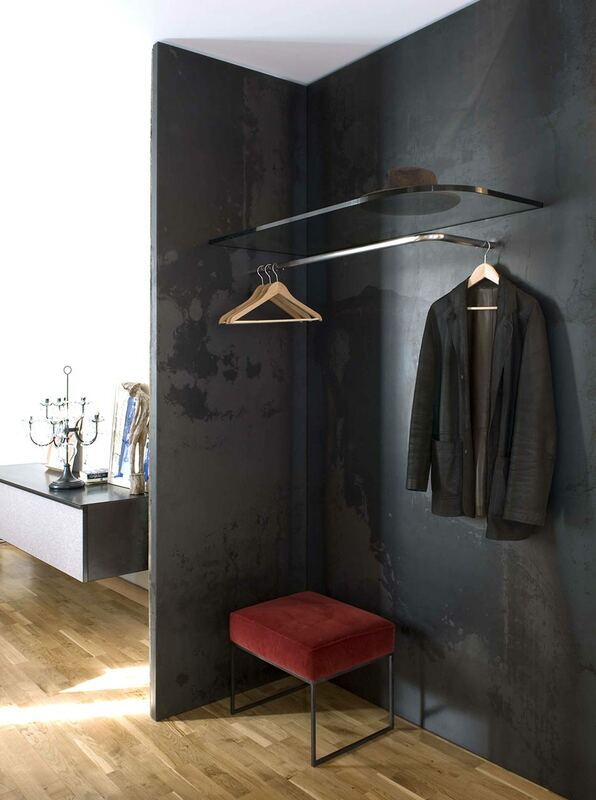 THIS CLOAKROOM, MADE OF BLACK IRON, SEPARATES THE ENTRANCE FROM THE LIVING AREA. 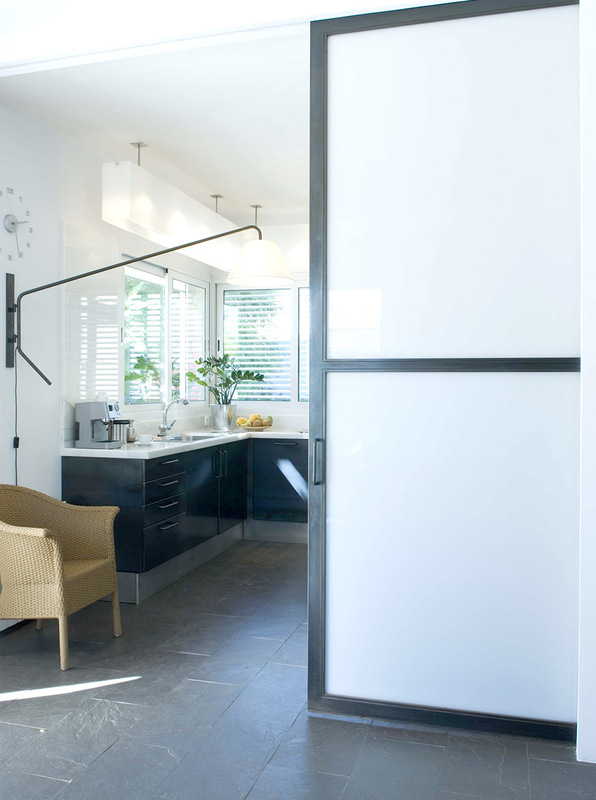 THE KITCHEN IS FULLY CLAD WITH OXIDISED SHEET IRON, COMBINED WITH A BROWN STONE WORK SURFACE AND THE REAR WALL MADE OF LIGHT GREEN CERAMIC TILES. THE FLOOR-TOCEILING, BUILT-IN CUPBOARD CONTAINS A STOVE-TOP AND OVEN, AND SEPARATES THE ENTRANCE AND KITCHEN. THE KITCHEN FLOOR IS DECORATIVELY TILED WITH THE HISTORIC CERAMIC TILES FROM THE OLD BUILDING. THE APARTMENT’S OLD DOORS WERE STRIPPED OF PAINT IN ORDER TO BRING OUT THE CHARM OF THE OLD CARPENTRY WORK. 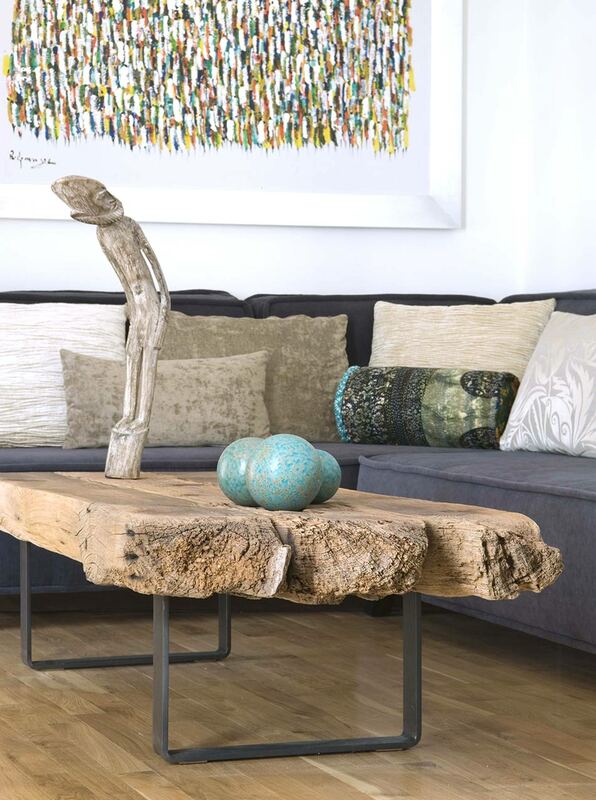 OLD WOODEN BEAMS WERE TRANSFORMED INTO A COFFEE TABLE. THE HIGH-QUALITY, LIGHT GREY VELVET CURTAINS AND FINE WHITE NET CURTAINS ARE A CLASSY YET HOMELY ADDITION. 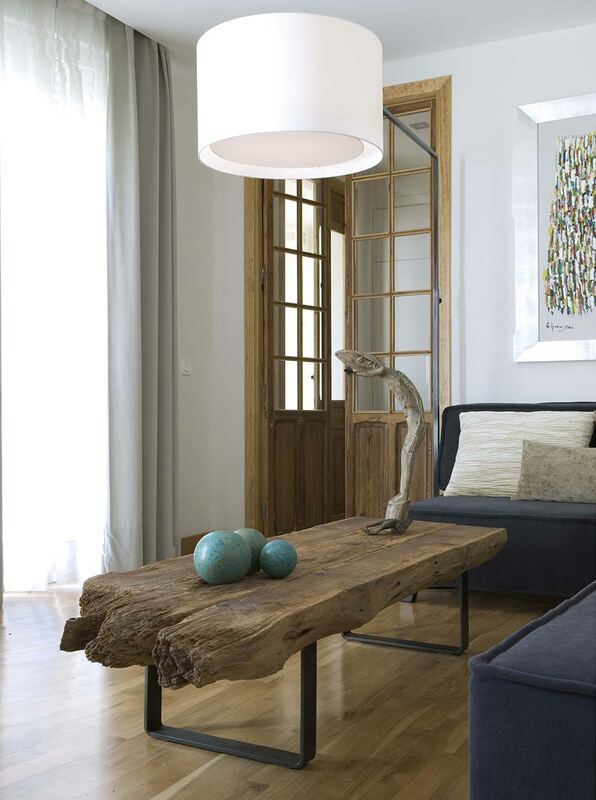 THE CLIENT INSTINCTIVELY COLLECTED OLD CONSTRUCTION MATERIAL OVER THE COURSE OF MANY YEARS. A WEATHERED WOODEN GATE SERVES AS A PARTITION BETWEEN THE MINIMALIST ENTRANCE AREA AND THE CITY APARTMENT’S COMFORTABLE LOUNGE. 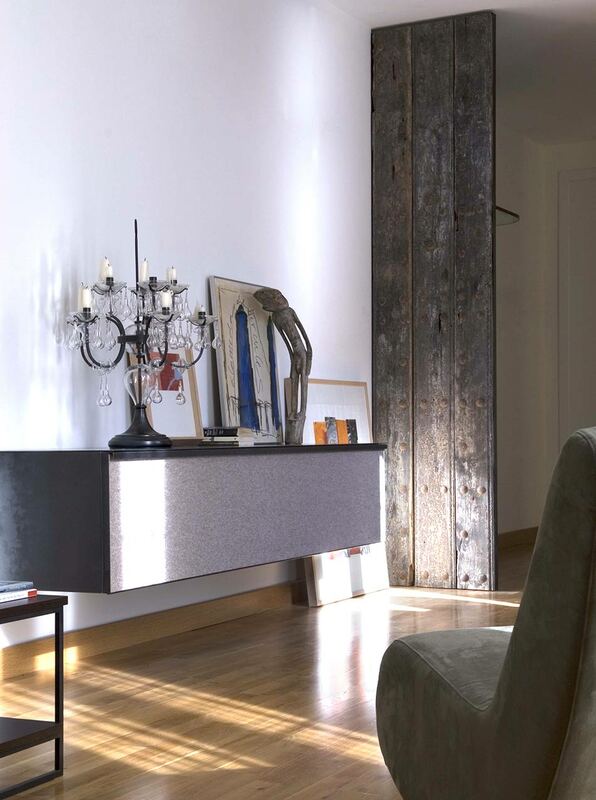 THE IRON AND FELT SIDEBOARD AND THE BAROQUE CANDLEHOLDER EVOKE AN ATMOSPHERIC STYLISTIC CONTRAST. BATHROOM IN SEVILLE’S OLD TOWN. 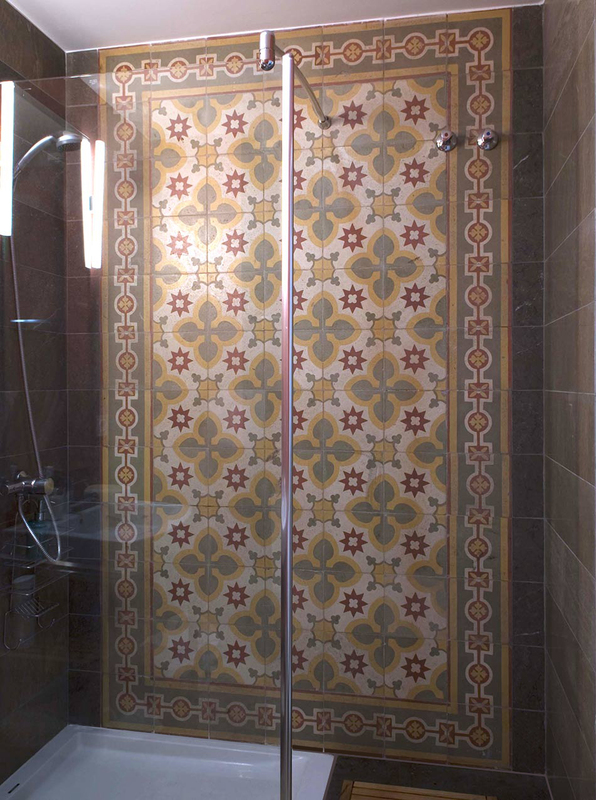 THE ARCHITECT AND PROPERTY OWNER CAREFULLY CHOSE SUITABLE SURFACES TO REUSE THE UNIQUE OLD TILES. IN THIS APARTMENT, EL SCHMID’S SIGNATURE STYLE PERFECTLY COMPLEMENTS THE REQUIREMENTS OF THE CLIENT. MY SIGNATURE IS THE COMBINATION OF PRIMARILY HANDCRAFTED FURNITURE IN A NOVEL DESIGN AND WITH A NATURAL LOOK. THE FAMILY’S OLD HOME WAS DEMOLISHED AND REPLACED WITH A NEW, SINGLE-FAMILY HOUSE DESIGNED ACCORDING TO FENG SHUI PRINCIPLES. THE GENEROUS ENTRANCE AREA, MADE OF GLASS AND STEEL, BRINGS SOMETHING OF THE LUSH GREEN OF THE GARDEN INTO THE HOUSE ITSELF. 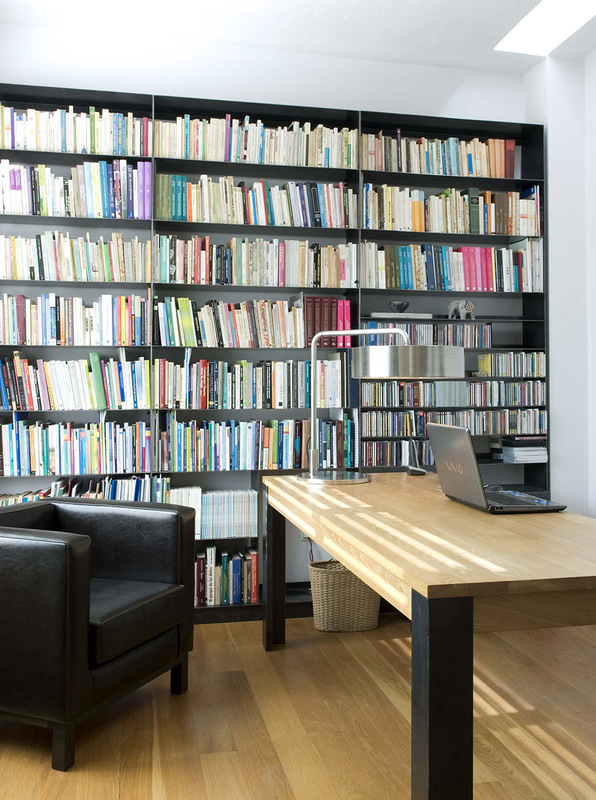 THE PROFESSOR’S HOME OFFICE EMBODIES DESIGN BASED ON SHEER VITALITY, FREE OF BORING CONVENTIONS. THE MATERIALS USED HAVE THEIR OWN LIFE ENERGY, EXERTING AN INFLUENCE ON US AS HUMANS: SOLID WOOD BRINGS THE HEAD AND STOMACH INTO BALANCE. IRON GIVES US THE DRIVE TO ACTION, THE SPIRIT OF ENTERPRISE AND THE POWER TO WORK. THE LIGHT-FILLED LIVING ROOM CAN BE EXTENDED INTO THE ANTEROOM AND THE KITCHEN VIA TWO, ROOM-HIGH SLIDING WALLS. 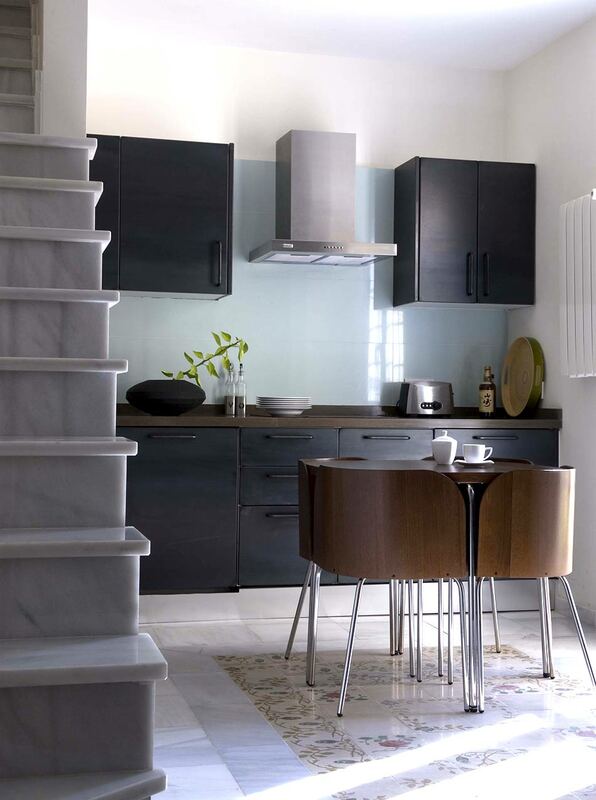 THE SLATE FLOOR, WHITE MARBLE KITCHEN, DRAWERS AND CUPBOARDS ARE CLAD WITH MACHINED SHEET IRON. 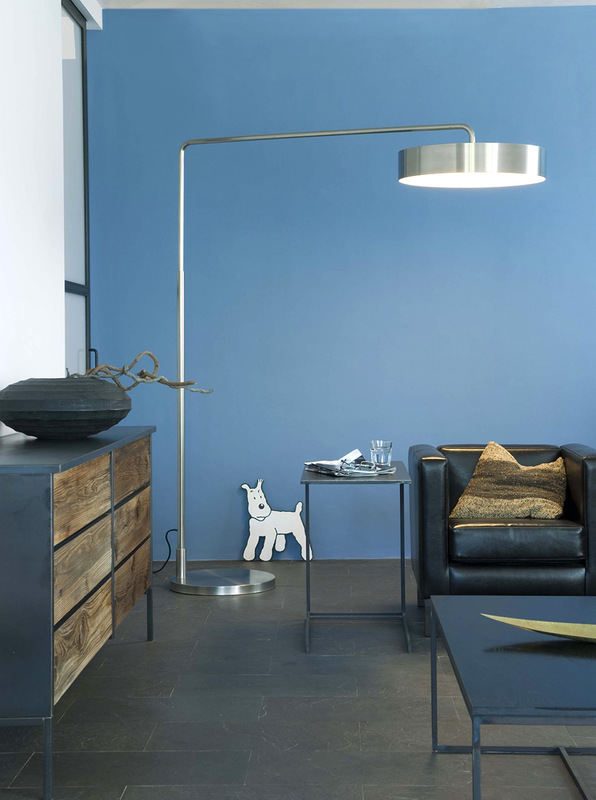 “ALPENWOOD” SIDEBOARD, MADE OF OXIDISED SHEET IRON AND WEATHERED TYROLEAN WOOD, “SANSIBA” VESSEL AND “SWING INOX” FLOOR LAMP WITH SWIVELLING ARM. 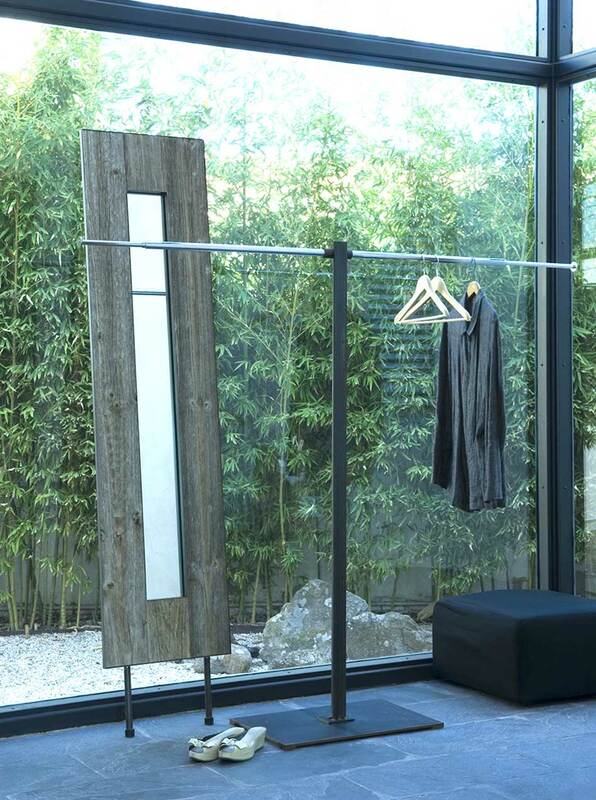 ON THE LEFT IS ANOTHER ENTRANCE TO THE LIVING ROOM, THROUGH THE SECOND ROOM-HIGH SLIDING WALL MADE OF IRON AND GLASS.